I was looking out some giant windows into nature. Dense green foliage in a wild-ecosystem was inhabited by all kinds of animals, humans included. One of the humans had flowing gauze gown and a wreath of willow around her head, she was walking towards a doe, and a tapir stood in the background. I noticed a big white shaggy dog coming up to the window, wagging its tail. The dog used the giant gold crown on its head to break the glass and come to me. We loved each other so much. My heart unfolded. I hugged the dog. I was early to the FMRI experiment I volunteered for, so I bought a cappuccino at the hospital coffee shop and studied my neuroanatomy drawings. I understand what agent Cooper from Twin Peaks was saying about giving yourself a treat everyday, and not planning for it, it’s these kinds of luxuries that turn a good day into an excellent one. 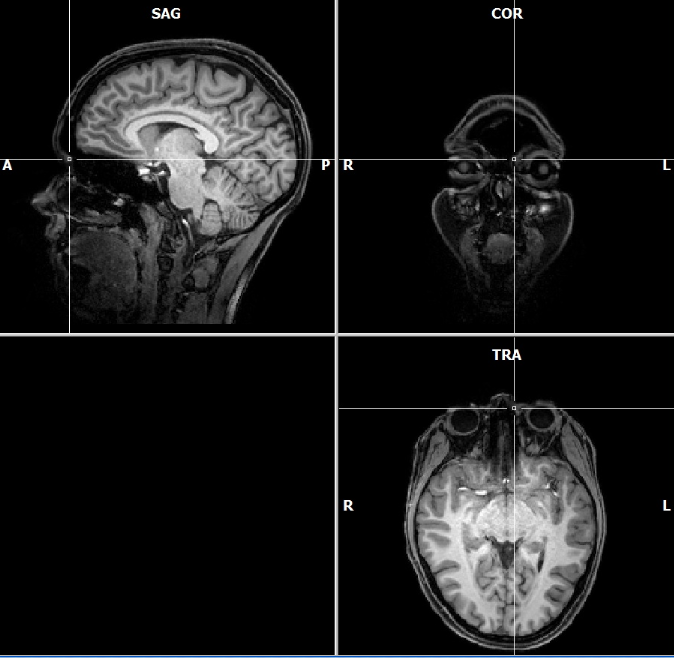 I had an excellent time in the FMRI machine. Because I enjoyed the noise generated by the machine so much, I was concerned that my audio processing would distract from the task (clicking a button every time one of the images on the screen I was fixated on flickered) but after all was said and done the experimenters said my responses had been accurate and that I had stayed tremendously still. The aim of the study is to find which area(s) of the brain are designated to process sights of hands. The experience also made me consider that experiments I plan to design involving music would be better suited to a quieter sort of imaging. The mandate of complete stillness in a small enclosed space made for a meditative hour. At some points the noisy electric hum of the machine became the most beautiful music, even better than the sounds found in teeth-drilling at the dentist (I’m pretty much joking about that, but not quite. Mills music majors have uncanny appreciation for electrical noises with experimental modes of delivery). The sonic space surrounded me with its integrated textures, timing, and melodic lines forming an interlocking field of contours and colors – an out-of-body experience in bright golds and teals. The feeling of liberation rendered each atom in me the same as a field of open-space. In between not thinking I thought about how much fun it would be to be a neuroscientist, and I thought about my dreams. The glee accompanying my meeting the dog continually broke through the glass of my perception. I am the white dog. Posted on 2011-08-29 2016-06-20 by stickypsyche	This entry was tagged Australia, Dream, School. Bookmark the permalink.